This article is about the German city. For other uses, see Hamburg (disambiguation). /ˈhæmbɜrɡ/; German pronunciation: [ˈhambʊɐ̯k], local pronunciation [ˈhambʊɪç]; Low German/Low Saxon: Hamborg [ˈhaˑmbɔːx]), officially Free and Hanseatic City of Hamburg, is the second largest city in Germany, the thirteenth largest German state, and the sixth largest city in the European Union. The city is home to over 1.8 million people, while the Hamburg Metropolitan Region (including parts of the neighbouring Federal States of Lower Saxony and Schleswig-Holstein) has more than 5 million inhabitants. 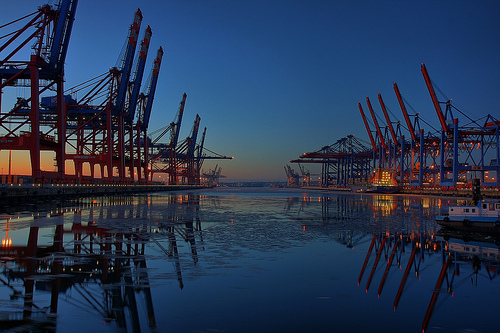 Situated on the river Elbe, the port of Hamburg is the second largest port in Europe (after the Port of Rotterdam) and tenth largest worldwide. Hamburg's official name, Free and Hanseatic City of Hamburg (German: Freie und Hansestadt Hamburg), reflects Hamburg's history as a member of the medieval Hanseatic League, as a free imperial city of the Holy Roman Empire, and that Hamburg is a city-state and one of the sixteen States of Germany. Before the 1871 Unification of Germany, Hamburg was a fully sovereign state of its own. Prior to the constitutional changes in 1919, the stringent civic republic was ruled by a class of hereditary grand burghers or Hanseaten. Hamburg is a major transport hub in Northern Germany and is one of the most affluent cities in Europe. It has become a media and industrial centre, with plants and facilities belonging to Airbus, Blohm + Voss and Aurubis. The radio and television broadcaster Norddeutscher Rundfunk and publishers such as Gruner + Jahr and Spiegel-Verlag are pillars of the important media industry in Hamburg. Hamburg has been an important financial centre for centuries, and is the seat of the world's second oldest bank, Berenberg Bank. In total, there are more than 120,000 enterprises. The city is a major tourist destination for both domestic and overseas visitors; Hamburg ranked 17th in the world for livability in 2012, and, in 2010, the city ranked 10th in the world. Hamburg is located on the southern point of the Jutland Peninsula, directly between Continental Europe to its south and Scandinavia to its north. 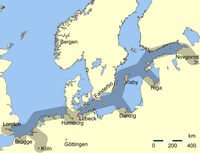 The North Sea is west and the Baltic Sea is northeast of Hamburg. Hamburg is located on the River Elbe at its confluence with the Alster and Bille. The city centre is situated around the Binnenalster ("Inner Alster") and Außenalster ("Outer Alster") both of which were originally formed by damming up the River Alster to create lakes. The island of Neuwerk and two small neighbouring islands Scharhörn and Nigehörn, located in the Hamburg Wadden Sea National Park, are also part of Hamburg. The neighbourhoods of Neuenfelde, Cranz, Francop and Finkenwerder are part of the Altes Land region (old land), the biggest contiguous fruit-producing region in Central Europe. The neighbourhood of Neugraben-Fischbek has Hamburg's highest elevation, the Hasselbrack at 116.2 metres (381 ft) AMSL. Hamburg has an oceanic climate (Cfb). Hamburg's climate is influenced by its proximity to the coast and marine air masses that originate over the Atlantic Ocean. Nearby wetlands also enjoy a maritime temperate climate. Snowfall is rare, generally occurring once or twice a year. The warmest months in Hamburg are June, July, and August, with high temperatures of 19.9 to 22.2 °C (68 to 72 °F). The coldest are December, January, and February, with low temperatures of -1.4 to 0 °C (29 to 32 °F). The Limes Saxoniae border between the Saxons and the Slavic Obotrites, established about 810. The first historic name for the city was, according to Claudius Ptolemy's reports, Treva. But the city takes its modern name, Hamburg, from the first permanent building on the site, a castle whose construction was ordered by the Emperor Charlemagne in AD 808. The castle was built on rocky terrain in a marsh between the River Alster and the River Elbe as a defence against Slavic incursion. The castle was named Hammaburg, burg meaning castle or fort. The origin of the Hamma term remains uncertain, as is the exact location of the castle. In 834, Hamburg was designated the seat of a Roman Catholic bishopric, whose first bishop, Ansgar, became known as the Apostle of the North. Two years later, Hamburg was united with Bremen as the bishopric of Hamburg-Bremen. In 1529, the city embraced Lutheranism, and Hamburg subsequently received Protestant refugees from the Netherlands and France and, in the 17th century, Sephardi Jews from Portugal. Hamburg was destroyed and occupied several times. In 845, a fleet of 600 Viking ships sailed up the River Elbe and destroyed Hamburg which, at that time, was a town of around 500 inhabitants. In 1030, the city was burned down by King Mieszko II Lambert of Poland. Valdemar II of Denmark raided and occupied Hamburg in 1201 and in 1214. The Black Death killed at least 60% of Hamburg's population in 1350. Hamburg had several great fires, the most notable ones in 1284 and 1842. In 1842, about a quarter of the inner city was destroyed in the "Great Fire". This conflagration started on the night of the 4 May 1842 and was extinguished on 8 May. It destroyed three churches, the town hall, and many other buildings, killing 51 people and leaving an estimated 20,000 homeless. Reconstruction took more than 40 years. 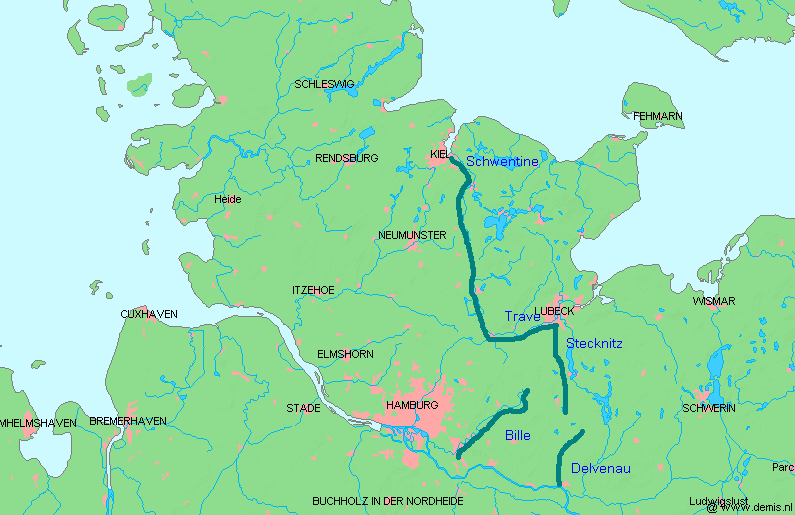 In 1189, by imperial charter, Frederick I "Barbarossa" granted Hamburg the status of an Imperial Free City and tax-free access up the Lower Elbe into the North Sea. In 1265, an allegedly forged letter was presented to or by the Rath of Hamburg. This charter, along with Hamburg's proximity to the main trade routes of the North Sea and Baltic Sea, quickly made it a major port in Northern Europe. Its trade alliance with Lübeck in 1241 marks the origin and core of the powerful Hanseatic League of trading cities. On 8 November 1266, a contract between Henry III and Hamburg's traders allowed them to establish a hanse in London. This was the first time in history that the word hanse was used for the trading guild of the Hanseatic League. The first description of civil, criminal and procedural law for a city in Germany in the German language, the Ordeelbook (Ordeel: sentence) was written by the solicitor of the senate of Hamburg, Jordan von Boitzenburg, in 1270. On August 10, 1410, civil unrest forced a compromise (German: Rezeß, literally meaning: withdrawal). This is considered the first constitution of Hamburg. When Jan van Valckenborgh introduced a second layer to the fortifications to protect against the Thirty Years War in the seventeenth century, he extended Hamburg and created a "New Town" (Neustadt) whose street names still date from the grid system of roads he introduced. Upon the dissolution of the Holy Roman Empire in 1806, the Free Imperial City of Hamburg was not incorporated into a larger administrative area while retaining special privileges (mediatised), but became a sovereign state with the official title of the Free and Hanseatic City of Hamburg. Hamburg was briefly annexed by Napoleon I to the First French Empire (1810–14). 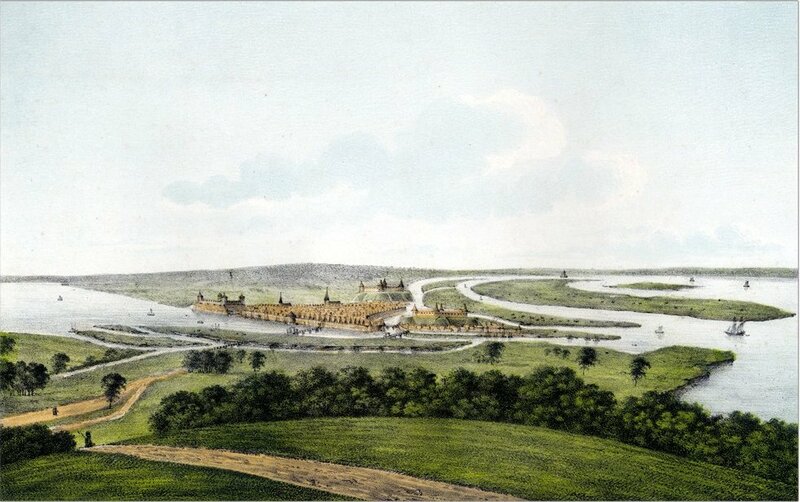 Russian forces under General Bennigsen finally freed the city in 1814. Hamburg reassumed its pre-1811 status as a city-state in 1814. The Vienna Congress of 1815 confirmed Hamburg's independence and it became one of 39 sovereign states of the German Confederation (1815–66). In 1860, the state of Hamburg adopted a republican constitution. Hamburg became a city-state within the North German Confederation (1866–71), the German Empire (1871–1918) and during the period of the Weimar Republic (1919–33). Hamburg experienced its fastest growth during the second half of the 19th century, when its population more than quadrupled to 800,000 as the growth of the city's Atlantic trade helped make it Europe's second largest port. With Albert Ballin as its director, the Hamburg-America Line became the world's largest transatlantic shipping company around the start of the 20th century. Shipping companies sailing to South America, Africa, India and East Asia were based in the city. Hamburg was the departure port for most Germans and Eastern Europeans to emigrate to the United States in the late 19th and early 20th centuries. Trading communities from all over the world established themselves here. A major outbreak of cholera in 1892 was badly handled by the city government, which still retained an unusual degree of independence for a German city at the time. About 8,600 died in the largest German epidemic of the late 19th century, and the last major cholera epidemic in a major city of the Western world. In the Third Reich, Hamburg was a Gau from 1934 until 1945. During World War II, Hamburg suffered a series of Allied air raids, which devastated much of the inhabited city as well as harbour areas. On 23 July 1943, a firestorm developed as a result of Allied firebombing and, spreading from the Hauptbahnhof (central station) and quickly moving south-east, completely destroyed entire boroughs, such as Hammerbrook, Billbrook or Hamm-south. As a result, these densely populated working-class boroughs underwent a dramatic demographic change as thousands of people perished in the flames. While some of the destroyed boroughs have been rebuilt as residential areas after the war, others such as Hammerbrook are nowadays purely commercial areas with almost no residential population. The raids, codenamed Operation Gomorrah by the RAF, killed at least 42,600 civilians; the precise number is not known. About 1 million civilians were evacuated in the aftermath of the raids. Not fewer than another 42,900 people are thought to have perished in the Neuengamme concentration camp (situated about 25 km (16 mi) outside the city in the marshlands), mostly due to epidemics and in the bombing of evacuation vessels by the Royal Air Force at the end of the war. Hamburg surrendered without a fight to British Forces on 3 May 1945. After World War II, Hamburg was in the British Zone of Occupation and became a state of the then Federal Republic of Germany in 1949. From 1960 to 1962, the Beatles launched their career by playing in various music clubs in the city. On 16 February 1962, the North Sea flood of that year caused the Elbe to rise to an all-time high, inundating one-fifth of Hamburg and killing more than 300 people. The Inner German border — only 50 kilometres (30 mi) east of Hamburg — separated the city from most of its hinterland and further reduced Hamburg's global trade. Since German reunification in 1990, and the accession of some Central European and Baltic States into the European Union in 2004, the Port of Hamburg has restarted ambitions for regaining its position as the region's largest deep-sea port for container shipping and its major commercial and trading centre. On 31 December 2006, there were 1,754,182 people registered as living in Hamburg (up by 6.2% from 1,652,363 in 1990) in an area of 755.3 km2 (291.6 sq mi). The population density was 2,322 /km2 (6,010 /sq mi). The metropolitan area of the Hamburg region (Hamburg Metropolitan Region) is home to about 4.3 million, living on 19,000 km2 (7,300 sq mi). There were 856,132 men and 898,050 women in Hamburg. For every 1,000 males, there were 1,049 females. In 2006, there were 16,089 births in Hamburg (of which 33.1% were to unmarried women); 6,921 marriages and 4,583 divorces. In the city, the population was spread out with 15.7% under the age of 18, and 18.8% were 65 years of age or older. Recent estimates put the number of people with a migrant background at 30% (515.000). Immigrants come from 180 different countries, including Turkey, Poland, Russia, Afghanistan, Pakistan, Kazakhstan, Iran or Ghana. In 1999, there were 910,304 households, of which 18.9% had children under the age of 18; 47.9% of all households were made up of singles. The average household size was 1.9. In late 2009, 29.9% of Hamburg's population belonged to the North Elbian Evangelical Lutheran Church, the largest religious body, and 10.1% to the Roman Catholic Church. According to one 2011 estimate based on ethnic origin, there are 200,000 Muslims of whom 50,000 are Alevis, although Alevis do not always identify themselves as Muslims. Hamburg is seat of one of the three bishops of the North Elbian Evangelical Lutheran Church and seat of the Roman Catholic Archdiocese of Hamburg. There are several mosques, including the Islamic Centre Hamburg and a growing Jewish community. The city of Hamburg is one of 16 German states, therefore the Mayor of Hamburg's office corresponds more to the role of a minister-president than to the one of a city mayor. As a German state government, it is responsible for public education, correctional institutions and public safety; as a municipality, it is additionally responsible for libraries, recreational facilities, sanitation, water supply and welfare services. Since 1897, the seat of the government has been the Hamburg Rathaus, with the office of the mayor, the meeting room for the Senate and the floor for the Hamburg Parliament. From 2001 until 2010, the mayor of Hamburg was Ole von Beust, who governed in Germany's first state-wide "black-green" coalition, consisting of the conservative CDU and the alternative GAL, which are Hamburg's regional wing of the Alliance '90/The Greens party. Von Beust was briefly succeeded by Christoph Ahlhaus in 2010, but the coalition broke apart on November, 28. 2010. On 7 March 2011 Olaf Scholz (SPD) became mayor. The part of the North Sea in this aerial picture is called the Hamburg Wadden Sea National Park and belongs administratively to the borough of Hamburg-Mitte. Some 39 people live here on the island Neuwerk (visible just above the centre). 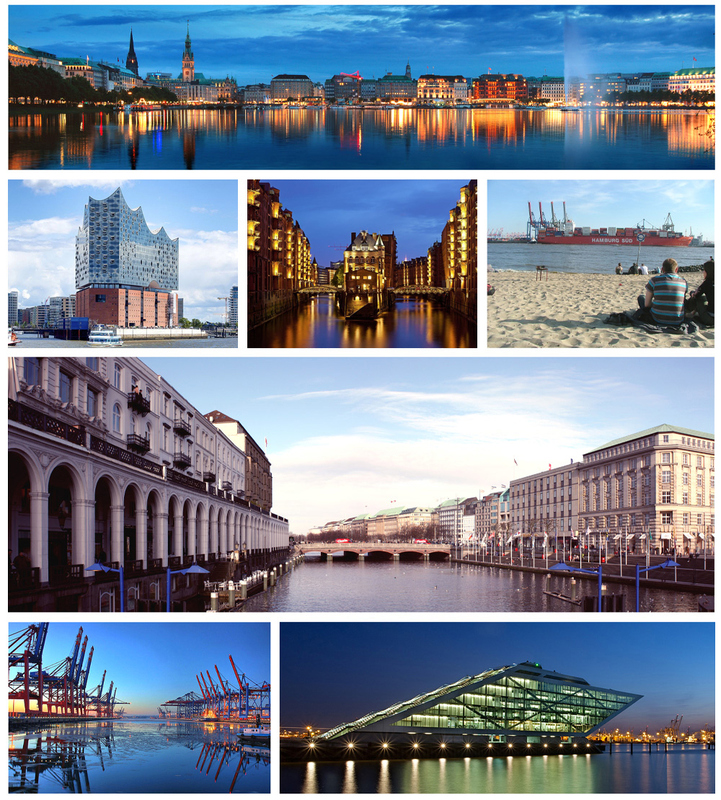 Hamburg is made up of 7 boroughs (German: Bezirke) and subdivided into 104 quarters (German: Stadtteile). There are also 181 localities (German: Ortsteile). The urban organization is regulated by the Constitution of Hamburg and several laws. Most of the quarters were former independent cities, towns or villages annexed into Hamburg proper. The last large annexation was done through the Greater Hamburg Act of 1937, when the cities Altona, Harburg and Wandsbek were merged into the state of Hamburg. The Act of the Constitution and Administration of Hanseatic city of Hamburg established Hamburg as a state and a municipality. Some of the boroughs and quarters have been rearranged several times over the years. Each borough is governed by a Borough Council (German: Bezirksversammlung) and administered by a Municipal Administrator (German: Bezirksamtsleiter). The boroughs of Hamburg are not independent municipalities. The power of borough governments is limited and subordinate to the Senate of Hamburg. The borough administrator is elected by the Borough Council and thereafter requires confirmation and appointment by Hamburg's Senate. The quarters have no governing bodies of their own. In 2008, the boroughs of Hamburg were Altona, Bergedorf, Eimsbüttel, Hamburg-Mitte, Hamburg-Nord, Harburg and Wandsbek. Altona is the westernmost urban borough on the right bank of the Elbe river. From 1640 to 1864, Altona was under the administration of the Danish monarchy. Altona was an independent city until 1937. Politically, the following quarters are part of Altona: Altona-Altstadt, Altona-Nord, Bahrenfeld, Ottensen, Othmarschen, Groß Flottbek, Osdorf, Lurup, Nienstedten, Blankenese, Iserbrook, Sülldorf, Rissen, Sternschanze. Bergedorf consists of the quarters Allermöhe, Altengamme, Bergedorf—the centre of the former independent town, Billwerder, Curslack, Kirchwerder, Lohbrügge, Moorfleet, Neuengamme, Neuallermöhe, Ochsenwerder, Reitbrook, Spadenland and Tatenberg. Hamburg-Mitte ("Hamburg Centre") covers mostly the urban centre of the city of Hamburg and consists of the quarters Billbrook, Billstedt, Borgfelde, Finkenwerder, HafenCity, Hamm, Hammerbrook, Horn, Kleiner Grasbrook, Neuwerk, Rothenburgsort, St. Georg, St. Pauli, Steinwerder, Veddel, Waltershof and Wilhelmsburg. The quarters Hamburg-Altstadt ("old town") and Neustadt ("new town") are the historical origin of Hamburg. A panoramic view of the Hamburg Skyline of the Binnenalster taken from Lombardsbrücke. Hamburg has architecturally significant buildings in a wide range of styles and only a few skyscrapers. Churches are important landmarks, such as St. Nicholas's church, which for a short time in the 19th century was the world's tallest building. The skyline of Hamburg features the tall spires of the most important churches (Hauptkirchen) St. Michael's Church (nicknamed “Michel"), St. Peter's Church, St. James's (St. Jacobi) and St. Catherine's Church covered with copper plates, and of course the Heinrich-Hertz-Turm, the radio and television tower (no longer publicly accessible). The many streams, rivers and canals in Hamburg are crossed by over 2300 bridges, more than London, Amsterdam and Venice put together. Hamburg has more bridges inside its city limits than any other city in the world and more canals than Amsterdam and Venice combined. The Köhlbrandbrücke, Freihafen Elbbrücken, and Lombardsbrücke and Kennedybrücke dividing Binnenalster from Aussenalster are important roadways. The town hall is a richly decorated Neo-Renaissance building finished in 1897. The tower is 112 metres (367 ft) high. Its façade, 111 m (364 ft) long, depicts the emperors of the Holy Roman Empire, since Hamburg was, as a Free Imperial City, only under the sovereignty of the emperor. The Chilehaus, a brick stone office building built in 1922 and designed by architect Fritz Höger, is shaped like an ocean liner. Europe's largest inner-city development (as of 2008), the HafenCity, will house about 10,000 inhabitants and 15,000 workers. The plan includes designs by Rem Koolhaas and Renzo Piano. The Elbe Philharmonic Hall (Elbphilharmonie), expected to be completed by 2015, will house concerts in a building on top of an old warehouse, designed by the Swiss firm Herzog & de Meuron. The many parks of Hamburg are distributed over the whole city, which makes Hamburg a very verdant city. The biggest parks are the Stadtpark, the Ohlsdorf Cemetery and Planten un Blomen. The Stadtpark, Hamburg's "Central Park", has a great lawn and a huge water tower, which houses one of Europe's biggest planetaria. The park and its buildings were designed by Fritz Schumacher in the 1910s. The Alter Botanischer Garten Hamburg is a historic botanical garden, located in the Planten un Blomen park, which now consists primarily of greenhouses. The Botanischer Garten Hamburg is a modern botanical garden maintained by the University of Hamburg. Hamburg offers more than 40 theatres, 60 museums and 100 music venues and clubs. In 2005, more than 18 million people visited concerts, exhibitions, theatres, cinemas, museums, and cultural events. More than 8,552 taxable companies – the average size was 3.16 employees – were engaged in the culture sector, which includes music, performing arts and literature. There are 5 companies in the creative sector per thousand residents (Berlin 3, London 37). Hamburg has entered the European Green Capital Award scheme, and was awarded the title of European Green Capital for 2011. Deutsches Schauspielhaus in the quarter St. Georg. The state-owned Deutsches Schauspielhaus, the Thalia Theatre, "Ohnsorg Theatre", "Schmidts Tivoli" and the Kampnagel are well-known theatres in Germany and abroad. The English Theatre of Hamburg near U3 Mundsburg station was established in 1976 and is the oldest professional English-speaking theatre in Germany, and has exclusively English native-speaking actors in its company. Hamburg possesses several big museums and galleries showing classical and contemporary art, as for example the Kunsthalle Hamburg with its contemporary art gallery (Galerie der Gegenwart), the Museum for Art and Industry (Museum für Kunst und Gewerbe) and the Deichtorhallen/House of Photography. The Internationales Maritimes Museum Hamburg opened in the HafenCity quarter in 2008. There are various specialised museums in Hamburg, such as the Archaeological Museum Hamburg (Archäologisches Museum Hamburg) in Hamburg-Harburg, the Museum of Labour (Museum der Arbeit), and several museums of local history, for example the Kiekeberg Open Air Museum (Freilichtmuseum am Kiekeberg). Two museum ships near Landungsbrücken bear witness to the freight ship (Cap San Diego) and cargo sailing ship era (Rickmer Rickmers). The world's largest model railway museum Miniatur Wunderland with 12 km (7.46 mi) total railway length is also situated near Landungsbrücken in a former warehouse. BallinStadt Emigration City is dedicated to the millions of Europeans who emigrated from its mass accommodation halls to North and South America between 1850 and 1939. Visitors descending from those overseas emigrants may search for their ancestors at computer terminals. Hamburg State Opera is a leading opera company. Its orchestra is the Philharmoniker Hamburg. The city's other well-known orchestra is the North German Radio Symphony Orchestra. The main concert venue is the Laeiszhalle, Musikhalle Hamburg, pending completion of the new Elbe Philharmonic Hall. The Laeiszhalle also houses a third orchestra, the Hamburger Symphoniker. György Ligeti and Alfred Schnittke taught at the Hochschule für Musik und Theater Hamburg. Since the German premiere of Cats in 1985, there have always been musicals running in the city, including The Phantom of the Opera, The Lion King, Dirty Dancing, and Dance of the Vampires. This density, the highest in Germany, is partly due to the major musical production company Stage Entertainment being based in the city. Hamburg is the birthplace of Johannes Brahms, who spent his formative early years in the city. Hamburg was also the birthplace and home for famous waltz composer Oscar Fetrás who wrote the well-known "Mondnacht auf der Alster" waltz. Prior to the group's initial recording and subsequent widespread fame, Hamburg provided residency and performing venues for The Beatles from 1960 to 1962. Hamburg has produced a number of pop musicians. Identical twin brothers Bill Kaulitz and Tom Kaulitz from the rock band Tokio Hotel live and maintain a recording studio in Hamburg, where they recorded their second and third albums, Zimmer 483 and Humanoid. Singer Nena also lives in Hamburg. There are German hip hop acts, such as Fünf Sterne deluxe, Samy Deluxe, Beginner and Fettes Brot. There is a substantial alternative and punk scene, which gathers around the Rote Flora, a squatted former theatre located in the Sternschanze. Hamburg is famous for an original kind of German alternative music called Hamburger Schule ("Hamburg School"), a term used for bands like Tocotronic, Blumfeld, Tomte or Kante. The city was a major centre for heavy metal music in the 1980s. Helloween, Gamma Ray, Running Wild and Grave Digger started in Hamburg. The industrial rock band KMFDM was also formed in Hamburg, initially as a performance art project. The influences of these and other bands from the area helped establish the subgenre of power metal. Hamburg has a vibrant psychedelic trance community, with record labels such as Spirit Zone. Hamburg is noted for several festivals and regular events. Some of them are street festivals, such as the gay pride Christopher Street Day festival or the Alster fair, held at the Binnenalster. The Hamburger DOM is a northern Germany's biggest fun fair held three times a year. Hafengeburtstag is a funfair to honour the birthday of the port of Hamburg with a party and a ship parade. The biker's service in Saint Michael's Church attracts tens of thousands of bikers. Christmas markets in December are held at the Hamburg Rathaus square, among other places. The long night of museums offers one entrance fee for about 40 museums until midnight. The sixth Festival of Cultures was held in September 2008, celebrating multi-cultural life. The Filmfest Hamburg — a film festival originating from the 1950s Film Days (German: Film Tage) — presents a wide range of films. The Hamburg Messe and Congress offers a venue for trade shows, such hanseboot, an international boat show, or Du und deine Welt, a large consumer products show. Regular sports events—some open to pro and amateur participants—are the cycling competition Vattenfall Cyclassics, the Hamburg Marathon, the biggest marathon in Germany after Berlin, the tennis tournament Hamburg Masters and equestrian events like the Deutsches Derby. Since 2007, Hamburg has the Dockville music and art festival. It takes place every year in summer in Wilhelmsburg. Original Hamburg dishes are Birnen, Bohnen und Speck (Low Saxon Birn, Bohn un Speck, green beans cooked with pears and bacon), Aalsuppe (Low Saxon Oolsupp) is often mistaken to be German for “eel soup“ (Aal/Ool translated ‘eel’), but the name probably comes from the Low Saxon allns [aˑlns], meaning “all”, “everything and the kitchen sink”, not necessarily eel. Today eel is often included to meet the expectations of unsuspecting diners. There is Bratkartoffeln (Low Saxon Brootkartüffeln, pan-fried potato slices), Finkenwerder Scholle (Low Saxon Finkwarder Scholl, pan-fried plaice), Pannfisch (pan-fried fish), Rote Grütze (Low Saxon Rode Grütt, related to Danish rødgrød, a type of summer pudding made mostly from berries and usually served with cream, like Danish rødgrød med fløde) and Labskaus (a mixture of corned beef, mashed potatoes and beetroot, a cousin of the Norwegian lapskaus and Liverpool's lobscouse, all offshoots off an old-time one-pot meal that used to be the main component of the common sailor's humdrum diet on the high seas). Alsterwasser (in reference to the city's river, the Alster) is the local name for a type of shandy, a concoction of equal parts of beer and carbonated lemonade (Zitronenlimonade), the lemonade being added to the beer. There is the curious regional dessert pastry called Franzbrötchen. Looking rather like a flattened croissant, the Franzbrötchen is somewhat similar in preparation but includes a cinnamon and sugar filling, often with raisins or brown sugar streusel. The name may also reflect to the roll's croissant-like appearance – franz appears to be a shortening of französisch, meaning "French", which would make a Franzbrötchen a “French roll.” Ordinary bread rolls tend to be oval-shaped and of the French bread variety. The local name is Schrippe (scored lengthways) for the oval kind and, for the round kind, Rundstück (“round piece” rather than mainstream German Brötchen, diminutive form of Brot “bread”), a relative of Denmark's rundstykke. In fact, while by no means identical, the cuisines of Hamburg and Denmark, especially of Copenhagen, have a lot in common. This also includes a predilection for open-faced sandwiches of all sorts, especially topped with cold-smoked or pickled fish. The American hamburger seems to have developed from Hamburg's Frikadelle: a pan-fried patty (usually larger and thicker than its American counterpart) made from a mixture of ground beef, soaked stale bread, egg, chopped onion, salt and pepper, usually served with potatoes and vegetables like any other piece of meat, not usually on a bun. The Oxford Dictionary defined a Hamburger steak in 1802: a sometimes-smoked and -salted piece of meat, that, according to some sources, came from Hamburg to America. Like elsewhere in Germany, Standard German is spoken in Hamburg, but as typical for northern Germany, the original language of Hamburg is Low German, usually referred to as Hamborger Platt (German Hamburger Platt) or Hamborgsch. Since large-scale Germanization beginning in earnest within the 18th century, various Low German-colored dialects have developed (contact-varieties of German on Low Saxon substrates). Originally, there was a range of such Missingsch varieties, the best-known being the low-prestige ones of the working classes and the somewhat more bourgeois Hanseatendeutsch (Hanseatic German), although the term is used in appreciation. All of these are now moribund due to the influences of Standard German used by education and media. However, the former importance of Low German is indicated by several songs, such as the famous sea shanty Hamborger Veermaster, written in the 19th century when Low German was used more frequently. Tourists play a significant role in the city's economy. In 2007, Hamburg attracted more than 3,985,105 visitors with 7,402,423 overnight stays. The tourism sector employs more than 175,000 people full-time and brings in revenue of €9.3 billion, making the tourism industry a major economic force in the Hamburg Metropolitan Region. Hamburg has one of the fastest-growing tourism industries in Germany. From 2001 to 2007, the overnight stays in the city increased by 55.2% (Berlin +52.7%, Mecklenburg-Western Pomerania +33%). A typical Hamburg visit includes a tour of the city hall and the grand church St. Michaelis (called the Michel), and visiting the old warehouse district (Speicherstadt) and the harbour promenade (Landungsbrücken). Sightseeing buses connect these points of interest. As Hamburg is one of the world's largest harbours many visitors take one of the harbour and/or canal boat tours (Große Hafenrundfahrt, Fleetfahrt) which start from the Landungsbrücken. Major destinations also include museums. Many visitors take a walk in the evening around the area of Reeperbahn in the quarter St. Pauli, Europe's largest red light district and home of strip clubs, brothels, bars and nightclubs. The singer and actor Hans Albers is strongly associated with St. Pauli, and wrote the neighbourhood's unofficial anthem, "Auf der Reeperbahn Nachts um Halb Eins" ("On the Reeperbahn Half Past Midnight") in the 1940s. The Beatles had stints on the Reeperbahn early in their careers. Others prefer the laid-back neighbourhood Schanze with its street cafés, or a barbecue on one of the beaches along the river Elbe. Hamburg's famous zoo, the Tierpark Hagenbeck, was founded in 1907 by Carl Hagenbeck as the first zoo with moated, barless enclosures. Some visit Hamburg out of a specific interest, notably one of the musicals, a sports event, a trade show or convention. In 2005, the average visitor spent two nights in Hamburg. The majority of visitors come from Germany. Most foreigners are European, especially from the United Kingdom (171,000 overnight stays), Switzerland (about 143,000 overnight stays) and Austria (about 137,000 overnight stays). The largest group from outside Europe comes from the United States (129,000 overnight stays). The cruise terminal is also a draw. The Queen Mary 2 has docked in Hamburg regularly since 2004, and there are six departures planned from 2010 onwards. There are several English-speaking communities in Hamburg, such as Caledonian Society of Hamburg, British Club Hamburg, British and Commonwealth Luncheon Club, Professional Women's Forum. American and international English-speaking organisations are The American Club of Hamburg e.V., the American Women's Club, the English Speaking Union, and the German-American Women's Club. There is also a thriving 400 year old Anglican church community worshiping at St Thomas Becket Church. A memorial for successful English engineer William Lindley, who reorganized, beginning in 1842, the drinking water and sewage system and thus helped to fight against cholera, is located near Baumwall train station in Vorsetzen street. In 2009, more than 2,500 "stumbling blocks" (Stolpersteine) were laid, engraved with the names of deported and murdered citizens. Inserted into the pavement in front of their former houses, the blocks are meant to draw attention to the victims of Nazi persecution. The 2007 gross domestic product (GDP) totaled €88.9 billion. The city has the highest GDP in Germany – €50,000 per capita – and a relatively high employment rate, at 88 percent of the working-age population, employed in over 120,000 businesses. In 2007, the average income of employees was €30,937. Hamburg has for centuries been a commercial centre of Northern Europe, and is the most important banking city of Northern Germany. The city is the seat of Germany's oldest bank, the Berenberg Bank, M.M.Warburg & CO and HSH Nordbank. The most significant economic unit for Hamburg is the Port of Hamburg, which ranks 2nd only to Rotterdam in Europe and 9th worldwide with transshipments of 9.8 million twenty-foot equivalent units (TEU) of cargo and 134 million tons of goods in 2007. After German reunification, Hamburg recovered the eastern portion of its hinterland, becoming by far the fastest-growing port in Europe. International trade is also the reason for the large number of consulates in the city. Although situated 68 miles (110 km) up the Elbe, it is considered a sea port due to its ability to handle large ocean-going vessels. Hamburg, along with Seattle and Toulouse, is an important location of the civil aerospace industry. Airbus, which has an assembly plant in Finkenwerder, employs over 13,000 people. Heavy industry includes the making of steel, aluminium, copper and a number of shipyards such as Blohm + Voss. The HafenCity (harbor city usually own spelling) is a district of Hamburg in Hamburg-Mitte district. It consists of the area of the Great Grasbrook, the northern part of the former Elbe island Grasbrook, and the warehouse district on the former Elbe island Kehrwieder and Wandrahm. It is bordered to the north, separated by the customs channel to Hamburg's city center, west and south by the Elbe and to the east, bounded by the upper harbor, Rothenburgsort. The district is full of rivers and streams surround channel and has a total area of about 2.2 km. The project called HafenCity has 155 hectares in the area formerly belonging to the free port north of the Great Grasbrook. Until around the mid-2020s on the site to residential units for up to 12,000 people and jobs for up to 40,000 people, mainly in the office sector arise. It is the area's largest ongoing urban development project in Hamburg. Construction work started in 2003, was completed in 2009 with the sub-neighborhood Dalmannkai / Sandtorkai - the first part of the HafenCity. According to the person responsible for the development and commercialization of HafenCity, HafenCity Hamburg GmbH, half of the master plan underlying structural volume is already realized, is under construction or in the construction preparation. Many Companies operating in E-Commerce have moved into HafenCity or started there. In addition to cruise agents such as the CaptainTravel GmbH many Start-up Companies that have no direct connection to the port or ships can be found in HafenCity. Media businesses employ over 70,000 people. The Norddeutscher Rundfunk which includes the television station NDR Fernsehen is based in Hamburg; as are the commercial television station Hamburg 1, the Christian television station Bibel TV and the civil media outlet Tide TV. There are regional radio stations such as Radio Hamburg. Some of Germany's largest publishing companies, Axel Springer AG, Gruner + Jahr, Bauer Media Group are located in the city. Many national newspapers and magazines such as Der Spiegel and Die Zeit are produced in Hamburg, as well as some special-interest newspapers such as Financial Times Deutschland. Hamburger Abendblatt and Hamburger Morgenpost are daily regional newspapers with a large circulation. There are music publishers, such as Warner Bros. Records Germany, and ICT firms such as Adobe Systems and Google Germany. Jimdo GmbH, a German web hosting provider, is headquartered in Hamburg. The Internet and telecommunications company HanseNet, which sells DSL Internet access under the Alice brand, has its headquarters in Hamburg. Hamburg was one of the locations for the film Tomorrow Never Dies of the James Bond series. The Reeperbahn street has been location for many sets, including the 1994 Beatles film Backbeat. Hamburg has 54 hospitals. The University Medical Center Hamburg-Eppendorf, with about 1,450 beds, houses a large medical school. There are also smaller private hospitals. On January 1, 2011 there were about 11,350 hospital beds in Hamburg proper. The city had 5,663 physicians in private practice and 456 pharmacies in 2010. Hamburg is a major transportation hub in Germany. Hamburg is connected to four Autobahnen (motorways) and is the most important railway junction on the route to Scandinavia. Bridges and tunnels connect the northern and southern parts of the city, such as the old Elbe Tunnel (Alter Elbtunnel) now a major tourist sight, and the Elbe Tunnel (Elbtunnel) the crossing of a motorway. Hamburg Airport is the oldest airport in Germany still in operation. There is also the smaller Hamburg Finkenwerder Airport, used only as a company airport for Airbus. Some airlines market Lübeck Airport in Lübeck as serving Hamburg. Hamburg's license plate prefix has been and is again "HH" (Hansestadt Hamburg, English: Hanseatic city of Hamburg) between 1906 and 1945 and again since 1956, rather than just the single-letter normally used for large cities since the federal registration reform in 1956, such as B for Berlin or M for Munich. The prefix "H" is used instead by Hanover since 1956. However, "H" was Hamburg's prefix in the years between 1945–1947. Public transport by rail, bus and ships is organised by a fare-collection joint venture between transport companies. Tickets sold by one company in this Hamburger Verkehrsverbund ("Hamburg transit authority") (HVV) are valid on all other HVV companies' services. The HVV was the first organisation of this kind worldwide. Nine mass transit rail lines across the city are the backbone of Hamburg public transport. The Hamburg S-Bahn (heavy railway system) system comprises six lines and the Hamburg U-Bahn three lines. U-Bahn is short for Untergrundbahn (underground railway). Approximately 41 km (25 mi) of 101 km (63 mi) of the subway is underground; most of the tracks are on embankments, viaducts or at ground level. Older residents still speak of the system as Hochbahn (elevated railway), also because the operating company of the subway is the Hamburger Hochbahn. Another heavy railway system, the AKN railway, connects satellite towns in Schleswig-Holstein to the city. On certain routes, regional trains of Germany's major railway company Deutsche Bahn AG and the regional metronom trains may be used with a HVV public transport ticket, too. Except at the three bigger stations in the centre of Hamburg, such as Hamburg central station, Hamburg Dammtor station or Hamburg-Altona station, the regional trains hardly stop inside the area of the city. The tram network was shut down in 1978. Gaps in the rail network are filled by more than 600 bus routes, plied by single-deck, two-, three- and four-axle diesel buses. Hamburg has no trams or trolley-buses, but has hydrogen-fueled buses operating pilot services. The buses run frequently during working hours, with some buses on some routes arriving as often as every 2 minutes. In suburban areas and on special weekday night lines the intervals can be 30 minutes or longer. There are six ferry lines along the River Elbe, operated by the HADAG company. While mainly used by Hamburg citizens and dock workers, they can also be used for sightseeing tours. The international airport at Hamburg Fuhlsbüttel, official name "Hamburg Airport" (IATA: HAM, ICAO: EDDH) is the fifth biggest airport in Germany and the oldest airport in Germany, having been established in 1912. It is about 5 miles from the city centre. About 60 airlines provide service to 125 destination airports, including some long distance destinations like Newark, New Jersey on United Airlines, Dubai on Emirates, and Tehran on Iran Air. Lufthansa is the hub carrier, with the most flights, followed by Air Berlin. Lufthansa operates one of its biggest maintenance facilities at the Hamburg airport. The second airport in Hamburg is Hamburg-Finkenwerder (IATA: XFW, ICAO: EDHI). It is about 10 km from the city centre and is a nonpublic airport for the Airbus plant. It is the second biggest Airbus plant, after Toulouse, and the third biggest aviation manufacturing plant after Seattle and Toulouse. The Finkenwerder plant houses the final assembly lines for A318, A319, A321 and A380 aircraft. Fuel cell power plant in the HafenCity quarter. Electricity for Hamburg and Northern Germany is provided by Vattenfall Europe, formerly the state-owned Hamburgische Electricitäts-Werke. Vattenfall Europe operates three nuclear power plants near Hamburg: Brokdorf Nuclear Power Plant, Brunsbüttel Nuclear Power Plant and Krümmel Nuclear Power Plant. All are scheduled to be taken out of service. There are also the coal-fired Wedel and Moorburg Power Stations, and the fuel-cell power plant in the HafenCity quarter. VERA Klärschlammverbrennung uses the biosolids of the Hamburg wastewater treatment plant; the Pumpspeicherwerk Geesthacht is a pump storage power plant and a biomass power station is Müllverwertung Borsigstraße. Hamburg is sometimes called Germany's capital of sport since no other city has more first-league teams and international sports events. Hamburger SV, one of the most successful teams in Germany, is a football team in the Bundesliga. The HSV is the oldest team of the Bundesliga, playing in the league since its beginning in 1963. HSV is a six-time German champion, a three-time German cup winner and triumphed in the European Cup in 1983, and has played in the group stages of the Champions League twice: in 2000/2001 and in 2006/2007. They play at the Imtech Arena (average attendance in the 06/07 season was 56,100). In addition, FC St. Pauli was a second division football club that came in second place in the 2009/2010 season and qualified to play alongside Hamburger SV in the first division for the first time since the 2001-02 season. St. Pauli's home games take place at the Millerntor-Stadion. The Hamburg Freezers represent Hamburg in the DEL, the premier ice hockey league in Germany. HSV Handball represents Hamburg in the German handball league. In 2007, HSV Handball won the European Cupwinners Cup. Both teams play in the O2 World Hamburg. Hamburg is the nation's field hockey capital and dominates the men's as well as the women's Bundesliga. Hamburg host's many top team's such as Uhlenhorster Hockey Club, Harvesterhuder Hockey Club and Club An Der Alster. The Hamburg Warriors are one of Germany's top lacrosse clubs. The club has grown immensely in the last several years and includes at least one youth team, three men's, and two women's teams. The team participates in the Deutsch Lacrosse Verein. The Hamburg Warriors are part of the Harvestehuder Tennis- und Hockey-Club e.V (HTHC). There are also the Hamburg Dockers, an Australian rules football club. The FC St. Pauli team dominates women's rugby in Germany. Other first-league teams include VT Aurubis Hamburg (Volleyball), Hamburger Polo Club, and Hamburg Blue Devils (American Football). There are also several minority sports clubs, including four cricket clubs. The Centre Court of the Tennis Am Rothenbaum venue, with a capacity of 13,200 people, is the largest in Germany. Hamburg also hosts equestrian events at Reitstadion Klein Flottbek (Deutsches Derby in jumping and dressage) and Horner Rennbahn (Deutsches Derby flat racing). The Hamburg Marathon is the biggest marathon in Germany after Berlin's. In 2008 23,230 participants were registered. World Cup events in cycling, the UCI ProTour competition Vattenfall Cyclassics, and the triathlon ITU World Cup event Hamburg City Man are also held in here. The Imtech Arena (formerly the AOL Arena or HSH Nordbank Arena and originally Volksparkstadion) was used as a site for the 2006 World Cup. In 2010 UEFA held the final of the UEFA Europa League in the arena. The school system is managed by the Ministry of Schools and Vocational Training (Behörde für Schule und Berufsbildung). The system had approximately 160,000 pupils in 245 primary schools and 195 secondary schools in 2006. There are 33 public libraries in Hamburg proper. Seventeen universities are located in Hamburg, with about 70,000 university students in total, including 9,000 resident aliens. Six universities are public, including the largest, the University of Hamburg (Universität Hamburg) with the University Medical Centre of Hamburg-Eppendorf, the University of Music and Theatre, the Hamburg University of Applied Sciences and the Hamburg University of Technology. Seven universities are private, like the Bucerius Law School. The city has also smaller private colleges and universities, including many religious and special-purpose institutions, such as the Helmut Schmidt University (formerly the University of the Federal Armed Forces Hamburg). In Hamburg it's hard to find a native Hamburger. A hurried and superficial search turns up only crayfish, people from Pinneberg, and those from Bergedorf. One accompanies the contented little kippers of a striving society; mackerels from Stade, sole from Finkenwerder, herrings from Cuxhaven swim in expectant throngs through the streets of my city and lobsters patrol the stock exchange with open claws.... The first so-called unguarded glance always lands on the bottom of the sea and falls into twilight of the aquarium. Heinrich Heine must have had the same experience when he tried, with his cultivated scorn and gifted melancholy, to find the people of Hamburg. – Siegfried Lenz, in Leute von Hamburg (People from Hamburg) ISBN 978-3-423-11538-4. Hamburg guide for residents and visitors. 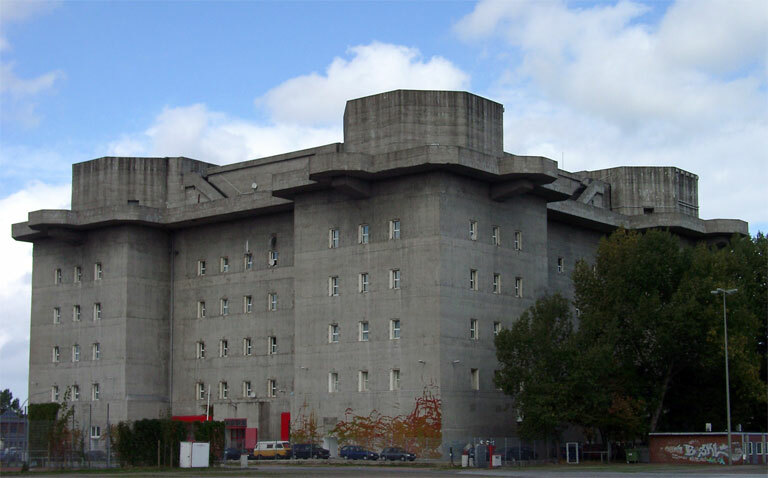 Hamburg Führer Verlag GmbH, Hamburg, published 12 times p. a. ^ "State population". Portal of the Federal Statistics Office Germany. http://www.statistik-portal.de/Statistik-Portal/de_zs01_hh.asp. Retrieved 2012-03-03. ^ "Europe's largest cities". City Mayors Statistics. http://www.citymayors.com/features/euro_cities1.html. Retrieved 2009-12-29. ^ a b "World Weather Information Service - Hamburg". Deutscher Wetterdienst. http://worldweather.wmo.int/016/c00055.htm. Retrieved 2012-04-06. ^ "Climatological Normals of Hamburg". Archived from the original on 2012-02-24. http://www.weather.gov.hk/wxinfo/climat/world/eng/europe/ger_pl/hamburg_e.htm. Chisholm, Hugh, ed (1911). "Hamburg (city)". Encyclopædia Britannica (11th ed.). Cambridge University Press. 1 until 1648. 2 until 1705. This page uses content from the English language Wikipedia. The original content was at Hamburg. The list of authors can be seen in the page history. As with this Familypedia wiki, the content of Wikipedia is available under the Creative Commons License.